Since Valentine's Day is past us that means we should all be crafting for Easter by now, right? 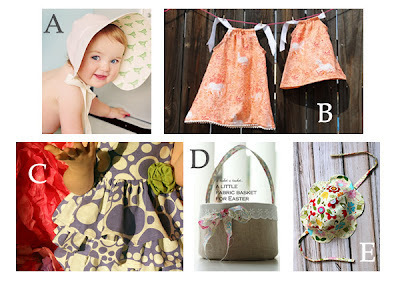 I've found a few cute projects that I would love to attempt for Easter. You'll notice they are ideas for little girls who are probably going to be dressed up for church and hunting for eggs and Easter baskets (sorry teenagers). I've also tried to stick to projects under $10 that could be made in a weekend. Please add to the comments below if you've found any others worth sharing!